Ikea’s big, blue bag is really having a moment. In case you missed it, it started with Balenciaga who made a £1,365 “copy” of their Frakta – the Arena. The Swedish brand then responded with a lols campaign on how to spot the real from a fake. And if that wasn’t enough the Internet chipped in with people designing clothes out of the original – there was even a thong. And now the big, blue bag is back again this time with the announcement that Off-White’s Virgil Abloh will be redesigning it. Taking to Instagram the homeware brand showed the designer working on the redesign. Those fond of the blue hue will be disappointed to see the bag is now brown is a lot more structured, made from what looks like reinforced cardboard. Simply printed with the name of the bag – ‘Sculpture’. 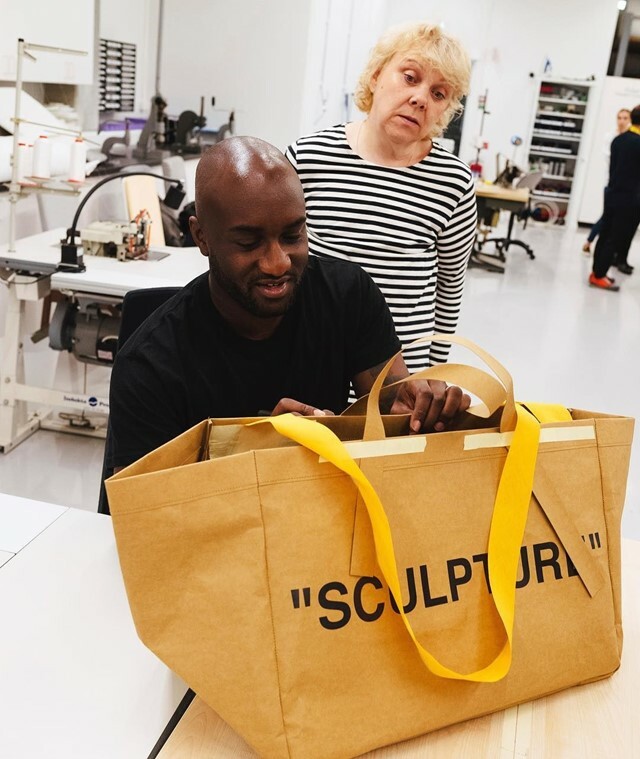 Abloh said, “We’re in a moment where IKEA is transcending, and people are bringing this ‘do it yourself’ culture” to the blue bag. What I’m most interested in is doing that process in partnership with the brand. It’s allowing me to put my opinion on a classic. It’s unique and distinctly as much of off-white as it's IKEA”. So if the Arena is out of your budget and you’re too cool for a regular Frakta, keep your eyes peeled for when Abloh’s redesign drops.